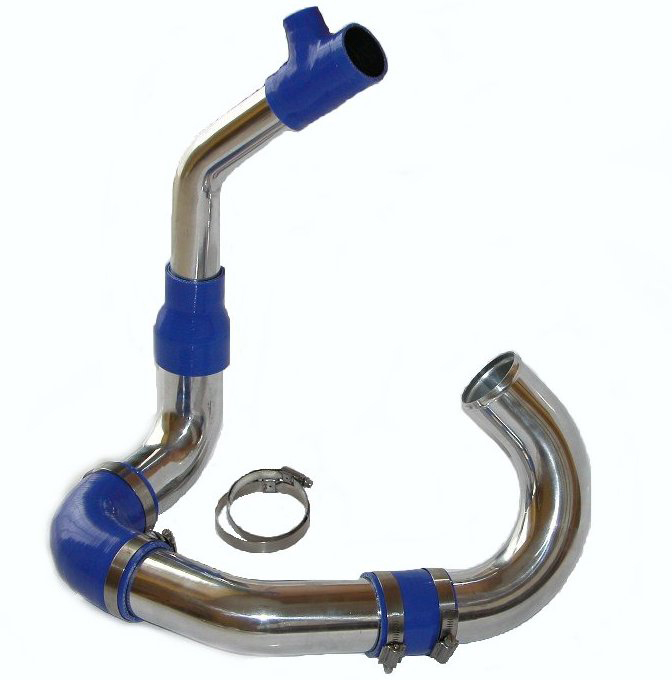 A fantastic product to connect your coolant hoses or water hoses where normal pre-moulded elbows just won't do. Our flexible silicone hose is constructed with a wire helix embedded into the wall of the hose, grooved on the outside to help with getting the tightest possible bend radius. 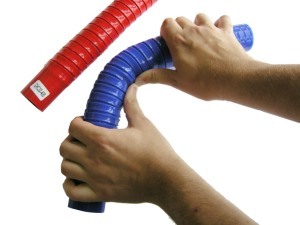 The ends of the hose are cuffed with a 50mm flat non wired section making it easy to connect and to clamp. 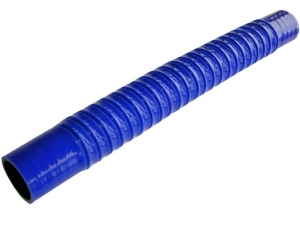 The length our this hose is 400mm long from end to end. The wall thickness of the hose is 5mm. 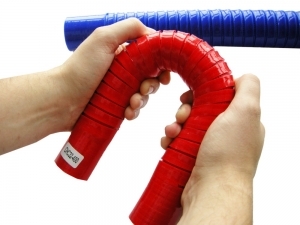 * Please note that the hose is flexible but does not remember the shape you form it to, it may require bracing or support with cable ties or other methods if the hose gets in the way of other things or rests / rubs against anything hot or sharp. 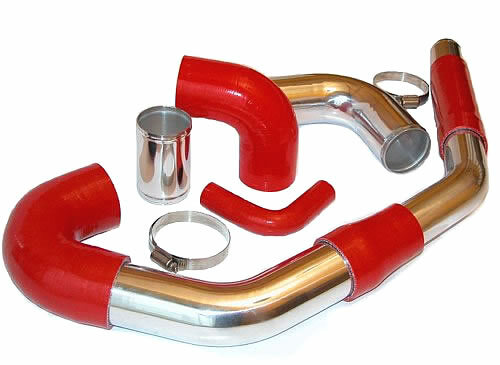 The hoses do have their limitations due to the wall thickness they cannot bend into very tight multiple bends, for example a 32mm hose will do a U bend, or a couple of 90° bends to create an "S Shape" , the 35 and 38mm ID hose gets stiffer only good for gentle bends such as one 90° or offset angles where normal silicone hoses will simply kink immediately. 1 meter uncuffed hoses also available.